Hurry! 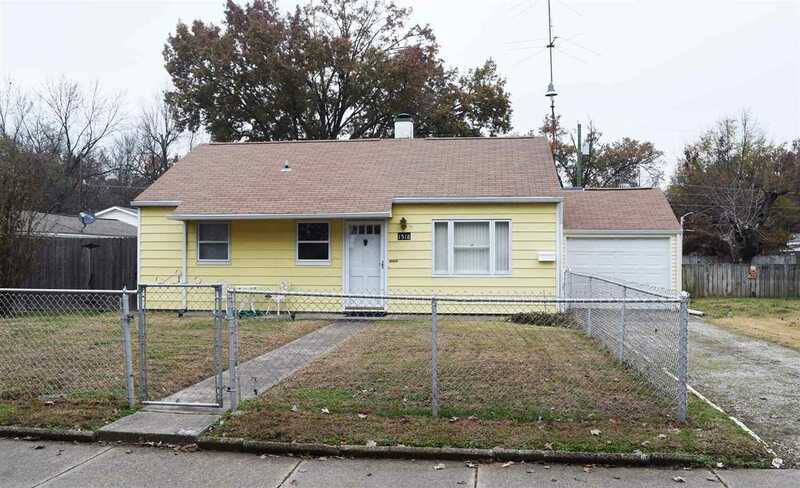 This 3 bedroom, one and a half bathroom home is clean, full of charm, and has had the same owners for over 45 years! It has so much to offer! Boasting TWO living spaces! The front living room and a very spacious family room complete with vaulted ceilings, built-ins, a brick fireplace with gas logs and is open to the dining area featuring a planning desk plus the great fully applianced kitchen! There is a nice attached 1 1/2 car garage that has access to the laundry/recreation room! This has the potential for all sorts of uses. PLUS a 24 x 20 POLE BARN!, Huge back yard with wood privacy fence and inviting patio, front yard is fenced also, Immediate possession, One year home warranty and much more! Where are you going to find all of this for only $99,900? Don't let this one get away! Directions:From Covert go South on Lodge to left on Waggoner house on left. SchoolsClick map icons below to view information for schools near 1518 Waggoner Avenue Evansville, IN 47714.